I love good old Heavy Rain —styled choice — butterfly—effect games. It is fascinating how your choices can manipulate the story but it has also its downfalls. I pumped up with this game many times now but I didn’t purchased it for some reason. I didn’t know much about it and today I watched something to play and review material and I saw this game. 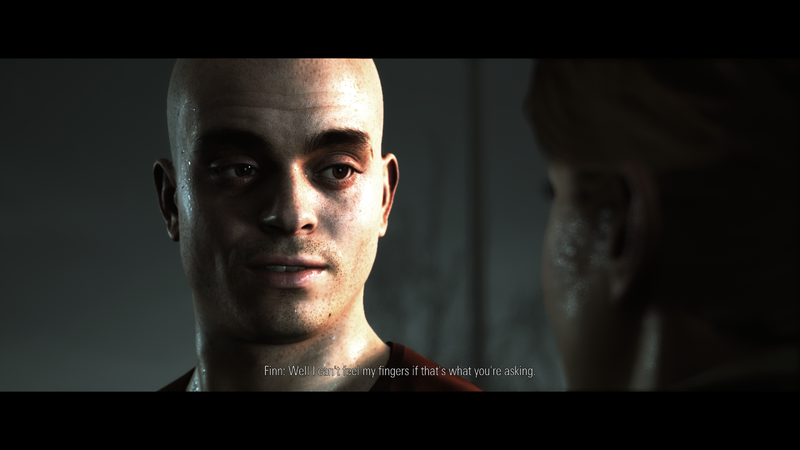 The preview of it was something that spoke to me and only then I knew it was the same developer who has made one of my favourite game Until Dawn. This game also was to be played using phone or tablet only. I thought I could choose a controller but it internet told me NO! I haven’t played anything with ‘PlayLink‘ before and I didn’t have a clue how well it works or red any reviews about it but and I didn’t also want to ruin my innocent mind with anyone else’s opinion so I took a chance and so I bought it! Setting this up is super easy only preparation you’ll need to do is to download an app for this game to work. When done the app needed to be on the same Wi-Fi network where your PS4 is and that’s it. The game recognizes the phone or tablet and you’re ready to go. Of course if you’re playing with others (I recommend to do that) they need to go through these steps as well. I have to say that I played this all by myself since I don’t have any friends :( After playing it through I became to conclusion that it is better to be played with at least one other person. Like I said the controls are super easy and simplified. You use your phone/tablet and move the pointer left or right to do your choice. In multiplayer mode everyone makes their selection and the winning bet is to be chosen. There is also parts where you need to do actions (move the pointer to certain spot) in certain amount of time like evading obstacles. One of my favourite was collecting pieces of evidence. It had time limit, though, but it was fun. I have to say couple negative things of this way of playing; the controls were overall sluggish and they didn’t feel natural at all! It could be better but I don’t know has that something to do with the phone itself. I have Sony’s flagship from about two years ago so it should be good enough. You need to move the pointer, I think, too precisely and too quickly compared to the sluggish way it’s working. I think some of the choices I did in the game wasn’t my fault it was the how badly the things works. The story is about police forces and how they hunt down a serial killer called ‘The Trapper’ and they manage to catch him… or as some of them thoughts. There is one detective and one State Lawyer who comes to in believe that he is still in loose. The story goes like a waves (as it said ‘ripple effect’) and everything shapes the story as you going it along and making your choices who to trust and how to react and some matter that seems little to you is actually looked with care of an atom, or at least it felt like it. I only played this once and I have no idea how the game would shape via other choices. There is lot of things you need to know to make your decision and you can pause the game anytime and look over the files and evidences. If you play with others they can also collect evidences and keep them themselves (one evidence can be found just once) and there was also some kind of cards you can use and team up with other players. I really not sure how the game would’ve worked 100% if there would’ve been other player, too. Not all the options was available for single players. I figured out the real murderer very quickly and some other parts as well. I do writing a lot so I could calculate most of the outcomes very fast so it was kinda lackluster for me. The simple rule is that everything obvious is not the murderer and you need to point completely 180 to other direction to ‘distract’ the readers/players when writing mystery like this. The ending was kinda familiar already so there wasn’t any omigaad—moment for me. 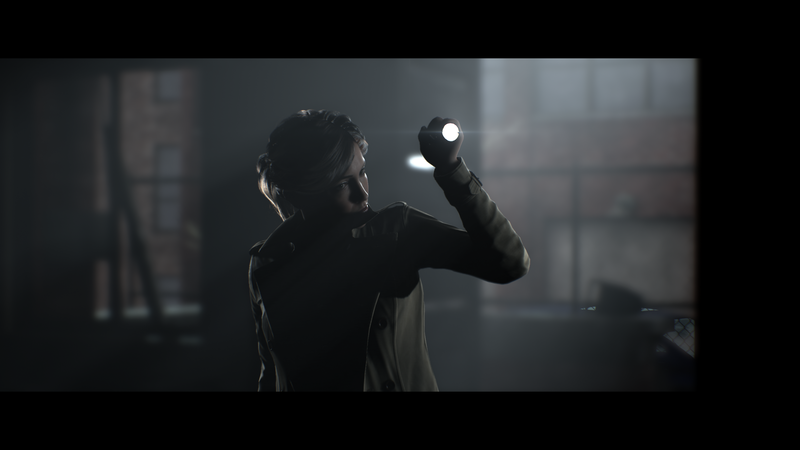 There isn’t anything special I could mention about the sounds other that I liked the voice actors and I could swear some of them are from Until Dawn. Sometimes the sound effects came delayed but that’s all about it. Lip—sync was one of the best I’ve seen in video games. It is very lifelike and that was maybe my omigaad—moment right there. One thing I want to say about the detail level of the characters: it was too much. You know when you over sharpen an image and it doesn’t look that nice anymore. Yeah, that how it was. They all had bad skin and their spores and blackheads was size of an asteroids. Yuck. The characters also moved very like Legos. 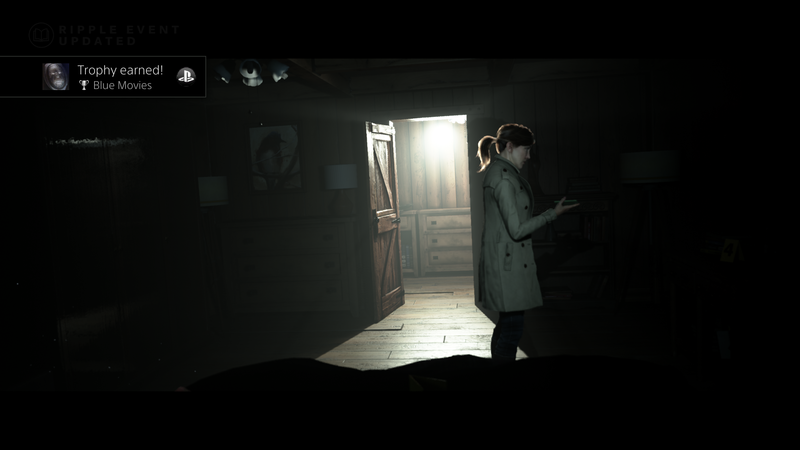 The movement wasn’t as smooth as in Until Dawn. One thing bothered me very much the whole play through was the slow loading things. What I mean the game won’t load fast enough when chancing the scenes/camera angles and you can see things loading like illegally from North—Korea with 56kbps bandwidth. Same goes on the character models and how they got little bit sharper and detailed over time when the scene was on. I just hate it! Gameplay is simple. You make one of the two choices and usually they are positive and negative response or sarcastic and happy. Or you chase the suspect and do the prompts as they appear or you have to make a decision to enter to someplace or first look around or you have time limit to search clues from a scenery. There was these cards you can use but I never was able to use them since I wasn’t multiplaying. There wasn’t ever an option something completely trastic like ‘No, I’m gonna leave now and move to Sweden. Bye’, when most of the time I actually would’ve needed that. My ending wasn’t the best possible option out there but it was the technical issues not mine. The controls are kinda sluggish and that made me kill two characters. I killed one for my pure own choice and freedom of speech!! This piece is fantastic and I wanna play it again someday soon. I wanna try other options and see what happens after that and do I manage to make happy ending or not. The game is very short and I wasn’t prepared to that at all!! This is something around 3 hours long but it is meant to be played many times and with friends in a house party or something. I don’t think this was meant to be for the most serious players more like casual and averages. Serious players won’t be happy for the controls overall… no—oh. 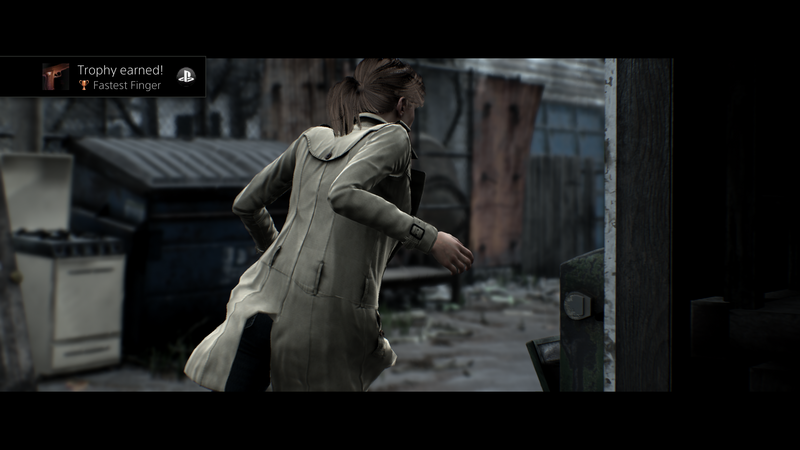 It was kinda awkward for me, though, because I needed to take screenshots with DUALSHOCK4 while holding a phone and my notebook. They should make a controller option for this. It would benefit all but the sad truth is how Sony wants to push the PlayLink out there and this game is one of three of game choices. I have to say this concept is great and I like how much you can do with this PlayLink thingie. I could imagine games where you need to have allies or ‘whodunnit’ —type of games. If this carries and holds, I hope to see something very unique coming out. 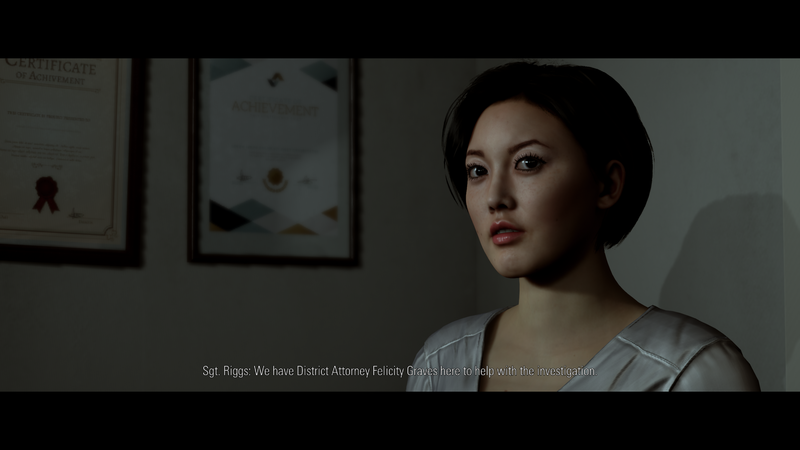 This Hidden Agenda costs 19.99€ in PS Store and it is for sure too much. 3 episodes / 3 hours long is not worth of twenty bucks. This should be somewhere around 9.99 and thats the most anyone should pay. was maybe my omigaad—moment right there.